This past Monday, the Student Association passed a resolution calling on almost every department to create more academic minors. According to the resolution, each academic department, excluding the Schools of Architecture and Music, should determine whether they could create minor versions of their majors. 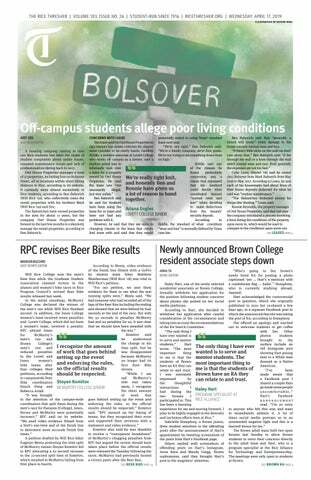 The resolution argued that doing so would provide Rice students with more choices in their academic pursuits, as well as better equip them with marketable degrees for the future. Especially compared to peer institutions, Rice lacks in quantity and diversity of academic minors. More minor offerings would give students who take a significant number of courses in a particular subject something on their diploma to show for that academic commitment. However, demanding that every department except music and architecture designate certain existing majors as minors is the wrong approach to this issue. Instead, there should be more research and discussion on which majors in which departments could actually be beneficial and desirable as minors. For departments that may not have the resources to take on an additional population of minors, certain classes should be made more accessible. Such classes often fill up quickly with majors fulfilling their requirements, or are notoriously difficult even for majors. If a department does not have the capacity to support additional minors flooding their classes, there must be accommodations to allow non-majors to explore their interests and expand their skill sets. That is the education Rice students are paying for, after all. The resolution also stoutly ignores the existing minors that are not also majors. Those minors — medical humanities, museum and cultural studies, cinema studies — offer a variety of valuable experiences and knowledge that should not be overlooked. There is room to grow in both minors that aren’t majors and minors that are majors. While the resolution is well-intentioned, ultimately, the language is too broad to be effective, and it is questionable whether this legislation can actually create change on a level that is arguably far beyond the SA’s reach. The resolution, titled “To Urge Rice’s Academic Departments and Administration to Create Significantly More Minors,” indicates that the SA has the power only to “urge” Rice faculty and administration to expand the school’s minor offerings. “Significantly more minors” is a vague blanket statement that is supposed to represent the needs of the Rice student body; however, the Committee for Undergraduate Curriculum, which already has students on the board, and the faculty and administration have clearly already considered the prospect of creating more minors. The SA must take into consideration the existing ecosystem that actually understands and addresses these goals and issues regularly.